Thank you for joining us for our reception. 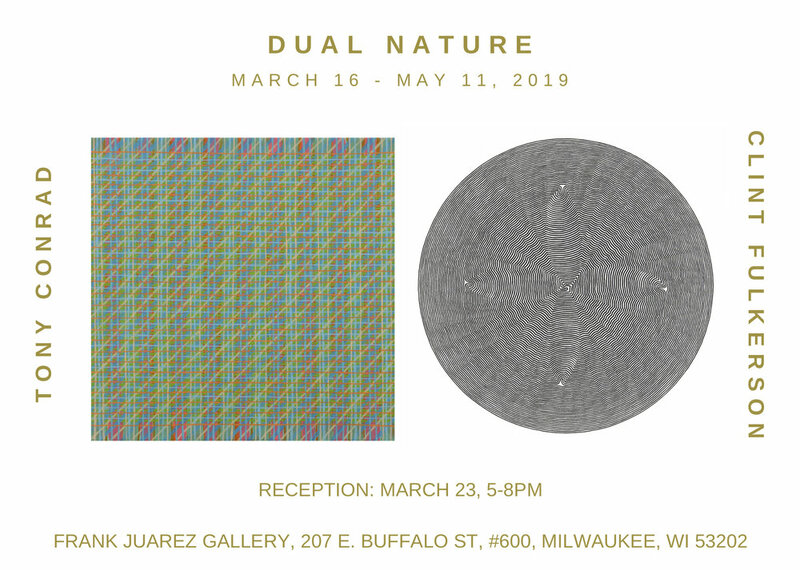 Dual Nature runs until May 11, 2019. 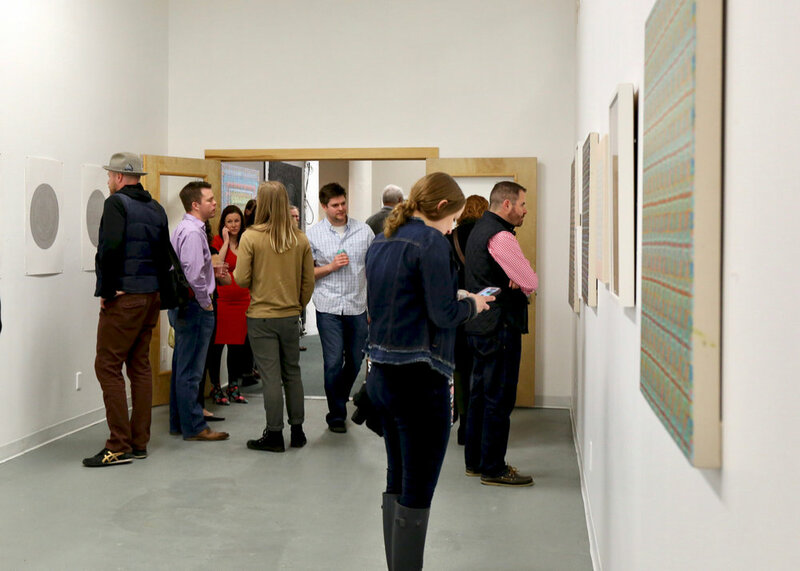 Mark your calendars: Milwaukee Gallery Night & Day, April 26 & 27. We will have special hours on Friday, April 26th from 6-9pm and Saturday, April 27th from 11am-4pm. At 2pm we will have an artist talk with Tony Conrad. Click here to RSVP. 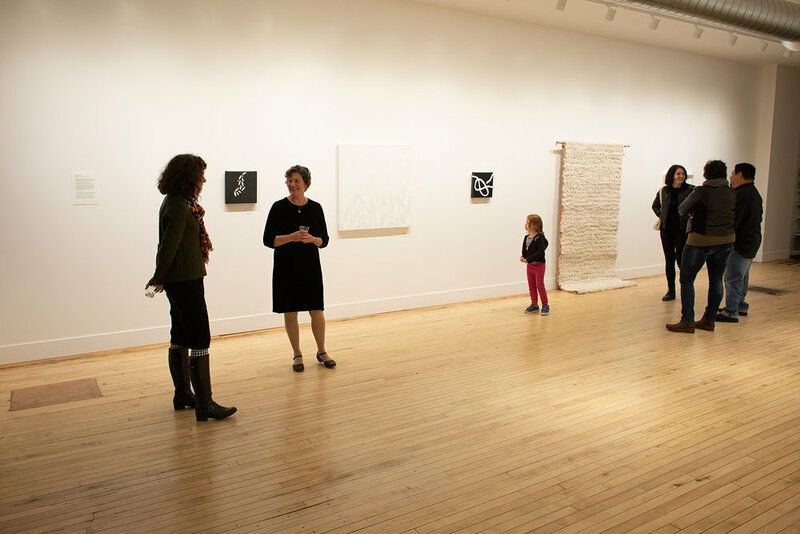 Gallery is open on Saturdays, 11-4pm and by appointment at 920.559.7181. In “Dual Nature,”the works of Tony Conrad and Clint Fulkerson clearly share an affinity to pattern as they reference various complex visual systems inspired by nature both physically and metaphorically. More importantly, the paintings and drawings in this exhibition are telling of two artists heavily concerned with process. 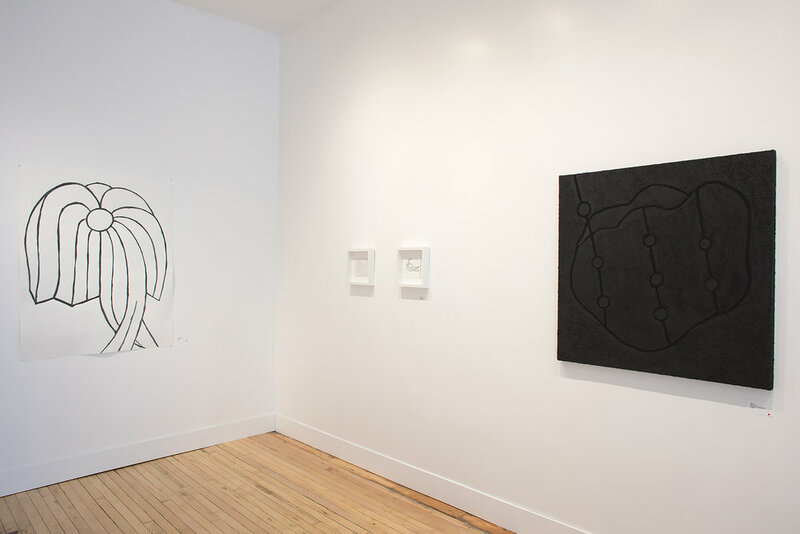 Conrad’s pattern centric paintings exhibit a relentless commitment to the making and remaking of seemingly similar marks while evoking the nature of meditative states. Fulkerson’s hypnotic detailed disc drawings are influenced by science, math, and systems of organization which manifest a curiosity of an ever-evolving world. The Frank Juarez Gallery is located at 207 E. Buffalo Street, Ste. 600, Milwaukee, Wisconsin 53202. Mop XXIV; Acrylic and graphite on canvas; 36 x 36 inches, 2018. Image courtesy of the artist and the Frank Juarez Gallery. 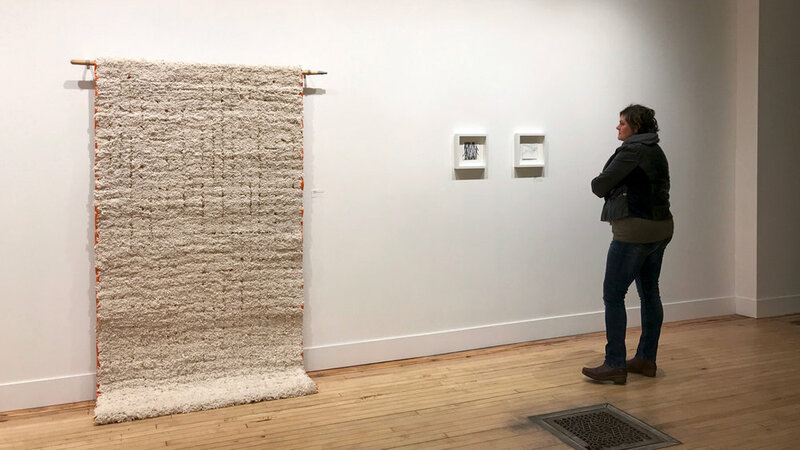 Algoma, WI — Yardstick is pleased to present Mopping Up, an exhibition of new work by Melissa Dorn. 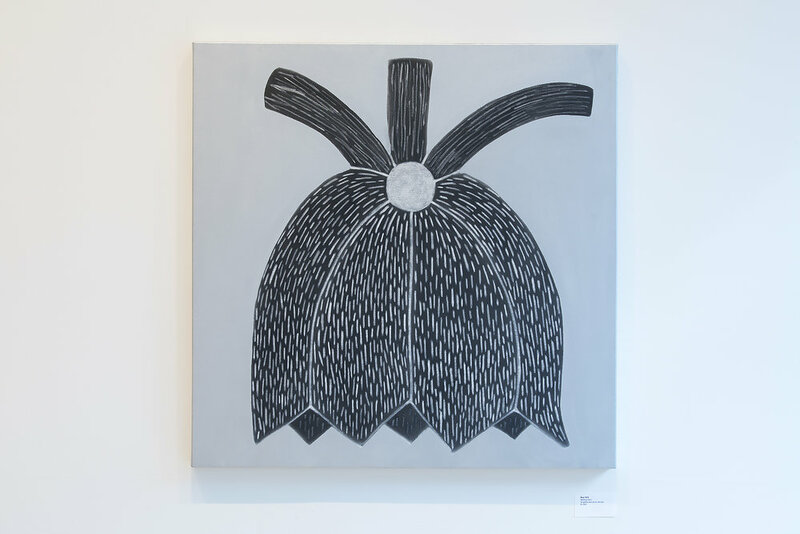 In 2015, Melissa Dorn began obsessing over mops. Mopping Up, heavily influenced by industrial mop heads, comments on issues around labor, women’s work, and abstraction. 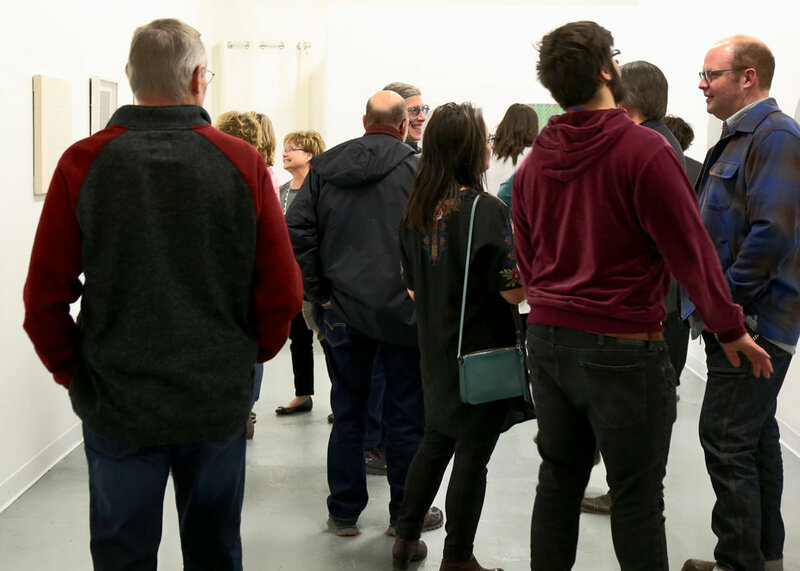 The exhibition features drawings, paintings and sculptures as well as an altering of the gallery space. This exhibition runs from October 5 – 21, 2018, with a reception on Friday, October 5, 5-8pm. Yardstick is located at 317 Steele Street, Algoma, WI 54201. Hours of operation for October 2018 are October 5, 5-8pm; October 6, 12-5pm; October 7, 12-4pm, October 13, 12-4pm, October 20, 12-4pm, and by appointment at 785.917.9628. Melissa Dorn works between painting and sculpture. She infuses common objects, things often overlooked, with humor and animating textures. Dorn Richards, who earned her BFA from the Milwaukee Institute of Art & Design, has been making art in Milwaukee for over 20 years. Dorn is represented by Frank Juarez Gallery. Her work is found in many corporate collections including Tax-Air, Northwestern Mutual, Mandel Group, West Bend Mutual Insurance Company, Littler Mendelson and Milwaukee Institute of Art & Design. 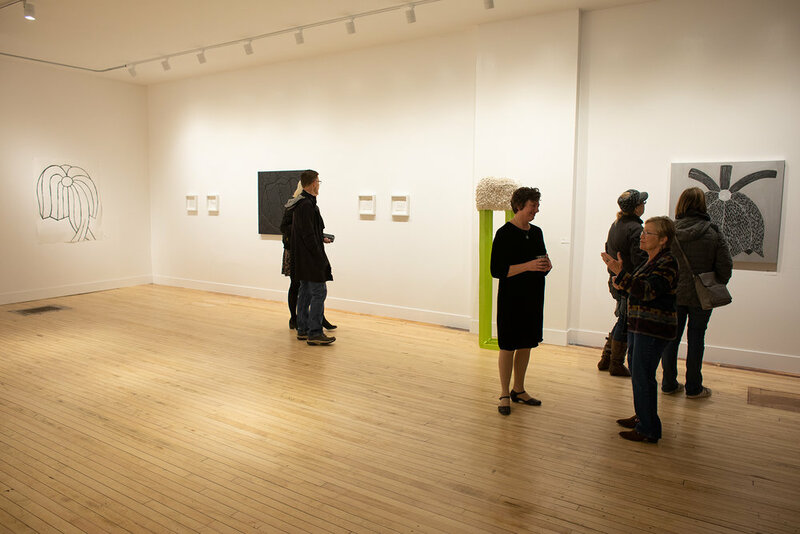 Select exhibitions include: The Jump Off, Urban Institute for Contemporary Art; Detroit Biennale, Museum of New Art; Wisconsin Artists Biennial, Museum of Wisconsin Art; Preservatif, Stockholm Gallery; Forward 2014, Charles Allis Art Museum; Up, Down!, River Edge Gallery; Moving Mountains, Frank Juarez Gallery; Schematic, UW-Sheboygan; Eight Counties, John Michael Kohler Arts Center; Art Chicago and Aqua Art Miami, Hotcakes Gallery. 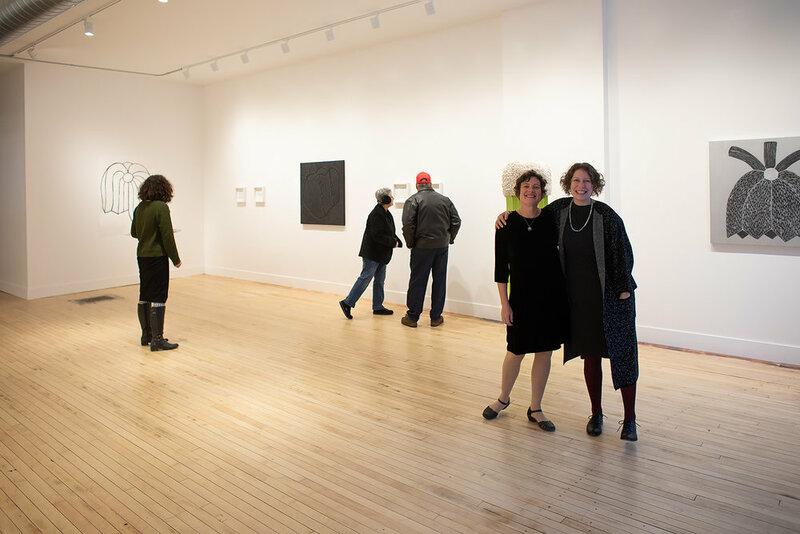 Yardstick is a multifaceted work in progress housed in a historical building in downtown Algoma, Wisconsin. We plan to open as a progressive bookstore, gallery and coffee shop in Spring of 2019. The name Yardstick is meant to remind us to measure up to our ideals and practice. 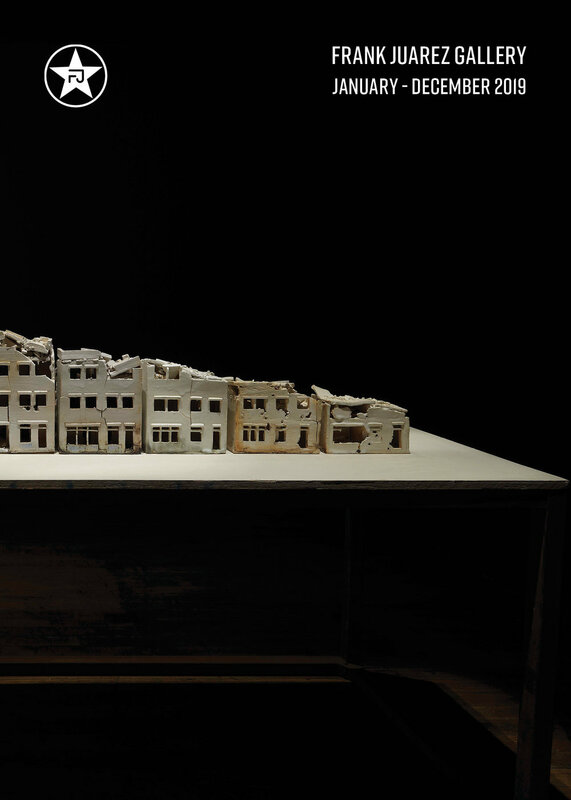 Meantime, Yardstick is hosting pop-up events in its unfinished space, including this exhibition of Melissa Dorn’s work, as well as various readings. We will open a holiday pop-up shop in Yardstick’s storefront in November and December, close the store to complete our vision, and re-open, fully realized, in Spring 2019. Yardstick is owned by Heidi Raak, who was the owner of the Raven Book Store in Lawrence, Kansas for ten years before moving to Algoma, Wisconsin in October 2017. She was born in Boston, grew up in Western Pennsylvania, and spent the last 20 years in Lawrence, Kansas, before falling in love with Algoma and the Michigan shore. 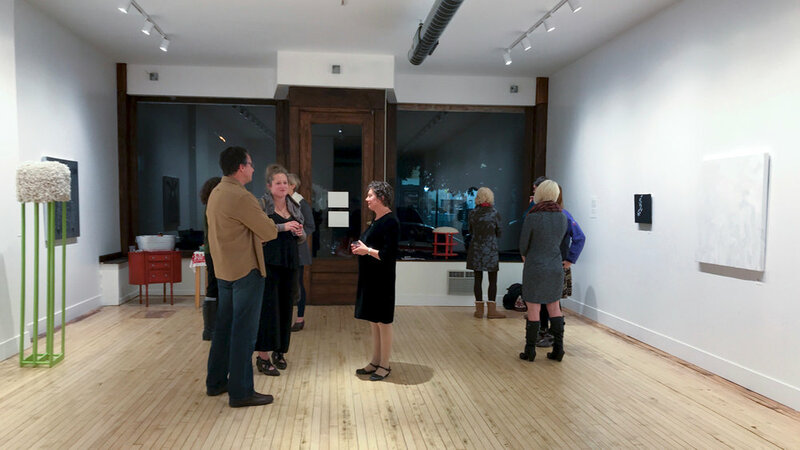 For further information on the exhibition Mopping Up: New Work by Melissa Dorn, please email heidi@yardstickalgoma.com or call 785.917.9628.